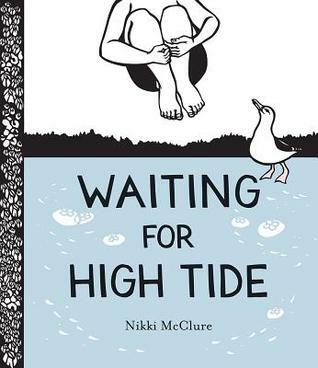 A new book from Nikki McClure is always something to get very excited about, especially Waiting for High Tide. McClure's unique paper cut illustrations are always filled with astonishing detail and loving attention to the natural world. 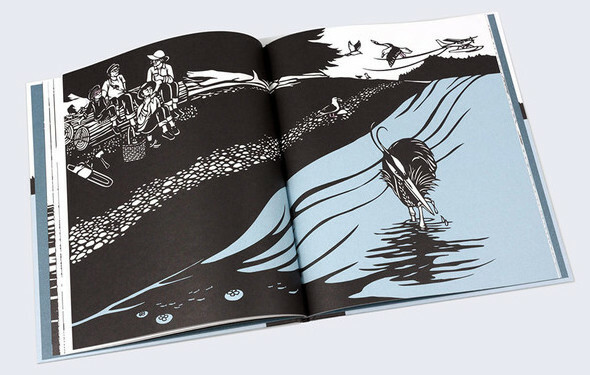 Waiting for High Tide feels like the ideal combination of the two, pair with generous text that tells the story of the rewards of patience and the rewards of the sea. The narrator of Waiting for High Tide is frustrated. It's low tide, and a stretch of mud makes swimming impossible, especially because it could mean getting stuck and being rescued by Grandma. But, the day is not all bad. 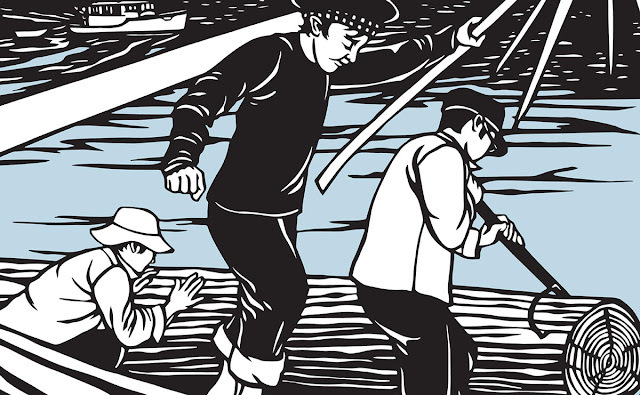 The narrator, Mama, Papa and Grandma are going to build a raft using a big log that drifted to shore after a storm. And, while the prospect of the raft is definitely exciting, the wait, both for the high tide to arrive and the raft to be completed, is filled with amazing, miraculous explorations of nature and what the sea has presented, like gifts on the shore. In fact, Mama says to the narrator, "The sea provides," and the beach always provides. A pirate's treasure includes clam shells, crab parts, three dead jellyfish and a heron feather along with, "tiny bits of plastic rope, a soggy shoe that doesn't match any in my collection" and a "true score - sunglasses with one lens one and the other covered with barnacles. Now I have barnacle vision!" The pink sunglasses and barnacle vision add a nice touch to Waiting for High Tide. 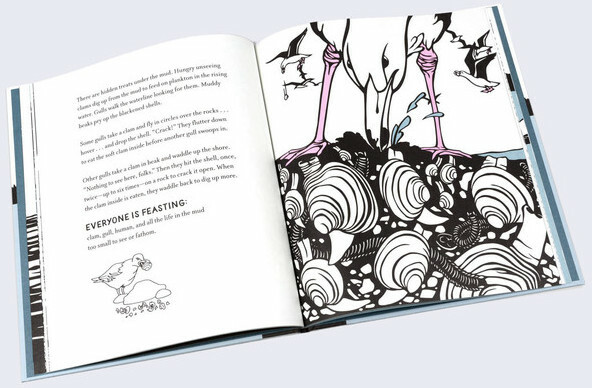 The splash of pink from the glasses and the intimate look at the barnacles adds a true naturalist's vision to the story. Simple sketches alongside the text help to bring to life McClure's colorful writing. The narrator begins this passage saying, "I walk along a ribbon of barnacles that stripes the upper beach. They cover the big rocks here that the waves can't tumble." Finishing the passage with, "But the best part about the barnacles is the noise they make. Miles and miles of tiny plates shifting about make a crackly , squizzling sound. Maybe they tell stories of all they saw with that one eye as the swam about the world? What will I see? What will I tell?," McClure beautifully ties together the life of the barnacles with the building and eventual launching of the raft. When I worked for a literary agent a few years ago, I learned that the standard length of a picture book is 1,500 words, preferably less. It is such a treat to read a longer book like Waiting for High Tide! Even better, it is a true joy to read a picture book that incorporates an engaging story and facts about nature so seamlessly.